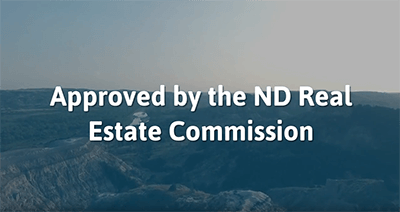 This course on Agency will satisfy the Mandatory topic requirements by the North Dakota Real Estate Commisson. In this class, we'll review the history of agency, and the common law of agency in America. We will also examine roles in the agency transaction in general as well as types of agency and types of authority. Along with the concept of agency there will be a short examination of the role of an agent with regard to the fiduciary relationship inherent in a transaction. Creation of agency relationships will be discussed, as well as responsibilities of the parties in the agency relationship. Then weâ? ?ll address avoiding potential problems. There will also be a short section on terminations of agency and agency in the law. Then, prior to moving on to North Dakota specific information, we will look at concepts of agency specific to the industry of real estate. In the section on North Dakota, we will follow North Dakota Administrative Code Section Chapter 3-03, Agency. The section will go into the creation and terminations of agency, then move into the section relating to the relationships of principals and agents, principals and third parties, and the agents and third parties. Then we will spend some time learning about dual agency and section 70-02-03-15.1 of the North Dakota Administrative Code. Finally, there will be a review of two recent court cases in America that are having an impact on agency in the real estate profession. Throughout the course there will be questions to help the student understand specific areas of information. Then there will also be three quizzes to solidify the learning of the student.